T/O Witchford 1850 - target Schweinfurt, Germany. Lost without trace. Also lost on this mission: Lancaster Mk II LL644 KO-N, 7 KIA. 734 aircraft - 554 Lancasters, 169 Halifaxes, 11 Mosquitos - carried out the first Bomber Command raid on Schweinfurt, home of Germany's main ball-bearing factories. 266 American B-17s had raided the factories the previous day. Bomber Command introduced a novel tactic on this night. The Schweinfurt force was split into two parts - 392 aircraft and 342 aircraft, separated by a 2-hour interval. Part of the German fighter force was drawn up by earlier diversions. 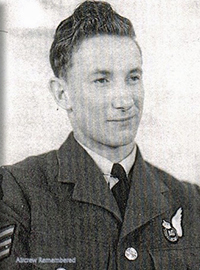 the second wave lost only 11 aircraft, 3.2 per cent, and it is believed that only 4 bombers from the second wave were shot down by night fighters. Total losses were 33 aircraft - 26 Lancasters, 7 Halifaxes - 4.5 per cent of the force. Source: nationalarchives.gov.uk - Bomber Command - Campaign Diary February 1944. Son of *Rev William Hornby and Helen Le Neve Foster, of Port Lewaigue, Isle of Man. Son of Frederick James Challinor and Ivy Challinor, of Liverpool. Son of Cyril Leonard and Beatrice Maud Casper, of Peckham, London. Son of John Turner Morley and Maud Morley, of Leeds, Yorkshire. Son of *Arthur Beadon Colthurst, and Mary Teresa Paul from Argentina. *Captain in the 14th Battalion Gloucestershire Regiment. +25 October, 1916, aged 46, buried at Faubourg-D'Amiens cemetery, France, grave I. H. 14. 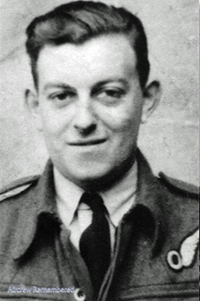 Anthony Paul Colthurst DSO +15 November, 1942, age 41. Commander HMS Avenger. Lee-on-Solent Memorial - Bay 2, Panel 7. Son of Duncan and Catherine Kennedy, of Apple Hill, Ontario, Canada. Son of Lewis Garfield Ward and Ellen Jane Ward, of London, Ontario, Canada.